You'll explore and learn at Forte di Bard and Egyptian Museum of Turin. Your inner history buff will appreciate Basilica di Superga and Duomo di Torino e Cappella della Sacra Sindone. 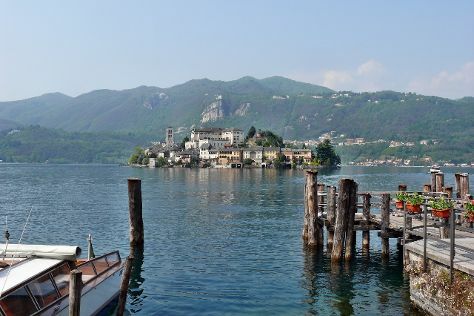 Get out of town with these interesting Turin side-trips: Lake Orta (in Orta San Giulio), Cantina Del Glicine (in Neive) and Serravalle Designer Outlet (in Serravalle Scrivia). Next up on the itinerary: see the interesting displays at National Cinema Museum and contemplate the long history of Palazzo Reale. For traveler tips and more tourist information, read Turin route maker app . In November, daily temperatures in Turin can reach 15°C, while at night they dip to 7°C. Finish up your sightseeing early on the 27th (Mon) so you can travel back home.